Services - But Is It Art? From simple to ornate and standard to bespoke, we have a solution to suit all tastes. For larger deeper objects, we construct box frames. 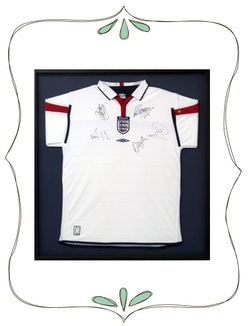 We frame football and rugby shirts, programs and multiple montages of your favourite sporting moments. 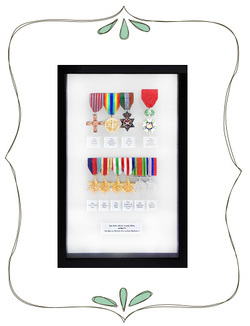 We make frames that complement the tributes you receive for your hard work and excellence so that you can proudly display them at home or in the office. We frame your hobbies too!! Card Sets, Coins and Stamps, Records and CD’s look are better when framed rather that stuffed in a drawer. We stock over 80 different coloured Nielsen Bainbridge and Arqadia Mount Boards to support a very fast service. We can cut ovals, circles and rectangles and are also able to do Free Hand Cutting for unique presentation. We also stock and supply extra thick Museum Quality Mount Board. For items such as Film Posters we have Hot Mounting facilities on site. We also stock Adhesive Board. For Cold Mounting we have a reliable supplier. 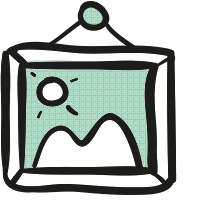 Check out examples of our work to see the quality of the services we offer.